Is Labour dead and how can radical hope be rebuilt? Is Labour dead? The question is vital for two reasons; first, because the party might be, and the sooner we know, the better. Second, if it’s not, then by asking the question we might get it off life support, because for Labour death certainly lurks. But what then do we mean by death? Not necessarily that the party doesn’t function. Getting 30% of the vote, having 200,000 members, having the trappings of relevance as a consequence of being Her Majesties’ Opposition and the duty bound balance of the BBC to feature it feels like staggering on. Yes, Labour can stagger on, but staggering on isn’t really life – it’s death. A party that is really alive carries the seeds of hope for the future; the real hope not just of winning occasional elections and inhabiting the state once in a while to slow the speed at which the poor get poorer and the planet burns, but the hope of being the focal point of a big and ambitious project to build a good society that is much more equal, sustainable, creative, innovative and democratic. For Labour to be alive it must carry the hope of transformation and the notion that it can help make the political weather – not just react to it. That in turn requires a vision, a sense of agency and a programme to make change happen. Such transformation may be quick or slow – but a progressive party must be able to convince the public it knows what is desirable and be able to make that feasible. Labour does not feel like such a party. Instead, it looks defensive and is in a cycle of decline. The weaker it gets the more it cuts itself off from others. Unless we understand why then the downfall will be irreversible. It might of course already be too late. The short pamphlet has been written in the shadow of Labour’s second big defeat in five years and as a new leadership election has begun. The premature race to find a leader before we understand the direction of travel has not yet been edifying and is light years from the discussion the party needs to have if it is to renew itself as a life force for a good society. 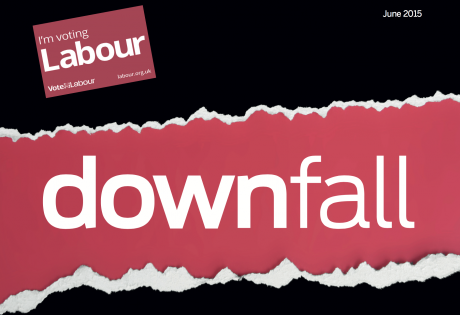 The pamphlet uses the binary nature of the post defeat debate to date, put crudely between a return to 1945 or a return to 1997, to assess the scale of the challenge facing Labour and to identify what is required to be a social democratic party that is truly alive and relevant to the 21st century. In understanding how hopelessly inappropriate these two options are, and without recourse to a more vital and relevant strategy, we may be able to conclude that to all intents and purposes – Labour is indeed dead. By exploring the post-defeat context, the pamphlet will attempt to show that this is not a cyclical blip in Labour’s fortunes but rather a deep, long and existential crisis facing the party; a crisis not just of lost votes and seats, although they are telling symptoms, but a crisis of culture. A crisis, if you like, of being. The Labour Party, as it is currently construed is simply out of date – an institution born of the culture of the late 19th century, which did some good things in the 20th century but is now hopelessly prepared for the 21st century. This is not a fate it suffers alone, all social democratic parties the world over are on the back foot electorally because they are on the back foot culturally. political strands. In so doing it attempts to outline a modern left politics, a politics that neither accommodates itself to modernity nor sets itself in opposition to it, but looks to bend modernity to the values of a good society. But the key point is this, only by understanding the depth of the hole it is in, can Labour summon the purpose to pull itself out. As such, this pamphlet is an argument for radical hope. The predominant argument since the crushing defeat of 7th May 2015 has been pushed by people who might crudely be called ‘Blairites’, in that they follow the creed of New Labour. The defining features of New Labour being the pursuit of middle class votes through a message of aspiration, economic orthodoxy and at best ambivalence to forms of state delivery, at worse, support for commercialisation. They have been busy on the airwaves and in print because they are well represented in the media and bear the grudge of their candidate, David Miliband, being beaten five years ago by his younger brother Ed. They believe that Ed’s strategy veered away from a clear New Labour strategy. A strategy, they are keen to add, that was responsible for three straight electoral victories in 1997, 2001 and 2005. Having said that, and as Antonio Gramsci warned us, there is always a grain of truth in the arguments of others. It would be foolish to dismiss New Labour out of hand for at least three good reasons: first, because it demonstrated the benefits of professionalising the party. Yes it went too far in terms of control, but the 24/7 media is a factor of modern politics that has to be faced up to. Second, it certainly grappled with the politics of attracting middle England and the southern vote. Again, it went too far but under ‘first past the post’ the concerns of millions of voters, especially in swing seats, cannot just be wished away. Third, despite its eventually timid and wrongheaded project, it was at least a semi-serious political project, which grasped that leading transformation was essential to gaining and using political power. It engaged with intellectuals like Anthony Giddens and relied on the strategic and tactical insights of Gordon Brown, while encouraging the growth of satellite organisations like new think tanks staffed by deeply impressive people. In this sense the New Labour project as a whole put to shame the last five years of political caution and ineptness. New Labour, more than anything, was born of despair. By 1994, after four straight election defeats, and in particular after the body blow of losing to John Major in 1992, Labour MPs and members would do anything to win. Tony Blair inherited a party on its knees, a party willing to sacrifice almost any part of its heritage to get back into office. But even if the Tories win again in 2020, and this already seems to be likely 2, the trade unions, even though much weakened, would hardly tolerate a dramatic rightward shift, and Scotland, where Labour has far more ground to make up than in England, is anyway looking leftwards. One of the crucial pre-conditions for New Labour was the absence of any electoral competition to the party’s left, such that Labour could shift as far as it wanted to the right without fear of electoral challenge. That is not the case today and is unlikely to be again. The SNP have ruthlessly shown what this strategy results in north of the border. South of the border a mix of the Greens and the Liberal Democrats, who are bound to shift back to the left, are ready to eat up progressive votes. Plaid Cymru presents the same threat in Wales and UKIP are now well placed in scores of English seats if Labour’s core vote becomes more alienated by a politics targeted not at them but at Waitrose shoppers. And finally, the space for Blairism has already been taken up. It’s called Cameronism, the self- styled heir to Blair. New Labour inherited an economy about to enjoy 60 consecutive quarters of growth. Such benign circumstances allowed the government to both spend big and cut taxes – thus satisfying different parts of the big tent, at least for a while. It even tried to get us to believe that it had ‘ended boom and bust’. But under the surface was rising consumer debt, a housing asset bubble and a banking and finance sector taking disastrous risks. As long as some of the profits could be top-skimmed and used for pet Treasury projects like tax credits, a blind eye was turned. Not even the most reckless will go down this route again. Another feature of the economic conditions which are unlikely to be repeated was the influx of migrant workers – which greatly boosted productivity. Increasing immigration is an option if you ensure all employers are paying at least the minimum wage and that you supply the houses, hospital and schools places for such a labour market influx. If not, then you stoke up the kind of resentment that would aid UKIP’s rise at Labour’s expense. Without such benign and unrepeatable economic circumstances it is impossible to see anything resembling New Labour even getting to first base. Blairism brilliantly painted over the social and economic cracks with combination of spin and dosh. But never again. New Labour was a project of just a few people. Much of its programme and operating ethic was controlling and top down. It had to be because much of it ran against the grain of the average party member. But this ‘control freak’ culture, which was part of New Labour’s DNA, is impossible to sustain today in a world of social media which allows members of the public and party to project their own voice. Furthermore, New Labour didn’t simply emerge from thin air. Although it was pieced together by just a few people, it was founded on a wide range of deep political currents such as the arguments of Marxism Today’s ‘New Times’, the role of the soft-left, the inventive aspects of the GLC, the democratic reforms of Charter 88 which had been openly embraced by John Smith and the urge to ally with the Liberal Democrats to create a ‘progressive majority’. Much of this came out of the considerable efforts of Neil Kinnock and others to lay the foundations of an eventual electoral breakthrough from 1983 to 1992. New Labour was a step change but it was built on these foundations. New Labour emerged, in other words, from a party that still had some semblance of being a movement. The Blairites had a vehicle they could climb into and drive away. Nothing like this exists today. The intellectual currents within the party are almost non-existent and there is little if any reach into external movements of ideas. If they are tried, like the community organising work of Arnie Graf, they are ruthlessly rejected. New Labour’s own foundations are as weak as when Blair left office, neither intellectually nor organisationally has New Labour been updated since it was created as a project over 20 years ago. The modernisers stopped modernising. There is little to build on except memories that cannot be reborn in 2015. Let me be clear here, this is not an argument against everything New Labour did. It is to say that New Labour cannot simply be reheated back to its old effectiveness. Certainly it can’t be reheated without a Blair. For good or bad, Tony Blair was an incredible political figure. A new New Labour is simply unimaginable without his equivalent. But even he (as he well knew) always needed Gordon Brown and would never have got to where he did without him. So simply ask yourself, would a new power-couple in their early forties, a young Brown-Blair duo in the 2015 House of Commons, with their combined energy and ability, set about re-creating a politics that brought us the Iraq War and the 2008 financial crash? If reheated Blairism is not an option, neither is a renewed Bennism. The argument goes, if only Labour could rediscover its historic roots, appeal to the organised working class, have bold enough leaders with the required conviction, then it would be swept to power. Like dream-on Blairism, there is a grain of truth in this. Labour has suffered electorally and culturally by being blind-sided to the politics of class and trade unionism. As Jon Trickett has shown, the loss of support since 1997 amongst working class DE social groups far outweighs the middle class Cs.3 But just as a return to 1997 is both undesirable and unfeasible, so a return to the politics of 1945, or at least the myth of 1945, is just another blind alley. In 1979 the Marxist historian Eric Hobsbawm wrote his The Forward March of Labour Halted.4 People sometimes get confused into thinking the argument was that the march was halted that year. But what Hobsbawm was identifying was altogether darker for Labour. The working class basis of Labour, long presumed to be the growing and soon to be predominant class, had in fact started to shrink as early as 1945. At the zenith of the Labour triumph the basis of its greatest strength, its class base, had already started to erode. A strong and unified working class gave Labour votes, a culture and organisational heft. It formed a common industrial experience, common housing and leisure pursuits. It formed a class of itself and for itself. This working class, largely employed in factories and through the practice of Fordism, the assembly line chain in which everyone had their place, not only gave Labour votes and money but a bureaucratic and technocratic system of government. Socialism would be ushered in through white coats and the managerial state. This is what made 1945 possible. 1945 was also possible precisely because of what came before it, the experience of the war and the depression that preceded it. No one in 1945 wanted to go back to the squalor and precariousness of the 1930s and the collectivist experience of the war showed what we could do if we really were all in it together. Thus, the mood music for 1945 was created. Finally, there was also the brooding presence of the Soviet Union. Today, global politics is fought out between different forms of capitalism. In 1945 there was a living, breathing and expanding alternative to capitalism called communism. It is almost impossible to imagine today the effect of actually existing socialism in rebalancing the post war forces between labour and capital. Employers and owners of capital were terrified that a revolution might happen here as millions of armed men returned home from the front. The whole post war settlement was due, in large part, to the existence of the USSR. All these factors that made 1945 possible, have dramatically changed. Class still matters but class identity is much less rigid, obvious and salient now. The unions are a diminished force. The limits of the bureaucratic state have long since been reached and memories of the war and the depression have little impact on thinking and action today. And, of course, the threat of communism was lifted long before 1989. But Labour still lives off the vapours of 1945. It acts as if such a moment were still possible, if only we had the right leader. But leaders are like surfers – they need a wave beneath their feet to function properly. Labour’s wave is washed out. It needs to tap into new energy forces, the forces and context of the 21st century if it is to be relevant to the 21st century. So how? A starting point would be a more accurate reading of the 1945 moment. Then the party might better understand how big and lasting change happens. Labour has built and sustained a myth that all that mattered in 1945 was simply Clement Attlee, Nye Bevan and few other key male actors. They won the election, they pulled the levers and they built the post war settlement. All we need to do now, to revive ourselves, is to have the right leaders in place who know how to pull the right levers – and hey presto, socialism! This is a tragic misreading of 1945. 1945 was not just a result of class and communism – it was the product of what David Marquand has called a ‘100 year conversation’ between progressives about what the future might hold. Just dip into Paul Addison’s magisterial The Road to 1945 and feel the moment as the product of myriad left wing book clubs, Clarion Cycle Clubs, cooperatives, mutual and friendly societies. It was also the product of a progressive alliance – stretching from Communists to Conservatives, relying on the intellectual heft of Liberals such as Keynes and Beveridge and leaning on Tory ideas, like the notion of social security from Quentin Hogg (Lord Hailsham) and Butler on universal secondary education. 1945 was a deep and rich cultural moment that the left and Labour was open to, but not wholly responsible for. Leadership matters but context matters more. Attlee et al were skilled leaders but they had little choice over what was to be done. It was the openness, the size and scale of the alliance that made 1945 possible – not just the right leaders. The temporary alignment of conditions that made Labour strong then has gone now. It was a blip, but is viewed by the party as the norm – if only those pesky right, left, Liberal, Tory, Green, SNP traitors didn’t keep getting in the way. And in their place a whole set of more hostile forces, cultures and structures have emerged. The globalisation and financialisation of the economy have left nation-states weaker and Labour has little sense of a social democracy across borders. Nationalism and the politics of identity are now as deep, if not deeper, than the politics of class. The culture of society has been transformed dramatically. Back in 1945 we lived in what could be called a producer society - working wasn’t all you did but your identity was predominantly formed by your job. Today our identities are much more fluid and a huge part of our identity is formed by what we buy. We live in a consumer society. Shopping isn’t all we do but it is the basis of how society systematically reproduces itself, an endless stream of wants turned into needs that keep us on the treadmill of earning, owning and debt. What does a party called ‘Labour’ mean in such circumstances? This turbo consumption, in turn, has a huge effect on the environment. Today we are on the brink of runaway climate change, yet Labour has always been a political party of more – more material wealth for ‘its people’. As such it has no conception of limits to growth. But climate change wrecks the lives of the poor first because they feel its effects most severely. At the same time a society based on consumption breaks any social bonds of solidarity and empathy because it is, by definition, egotistic and competitive. Consumerism kills the common good. Social democracy cannot be predicated on endless consumer growth, it is a key part of the existential threat Labour faces. Finally, there is the issue of culture. 1945 was still an era of deference and bureaucracy, society and life was more secure but also more regimented. From the 1960s onwards people became more and more liberated and liberal. Work and life became less predictable and more open. The digital revolution, social media and the shift to a networked society are now revolutionising the way we see, think and act.5 The world has become plural, complex and diverse. But the culture of Labourism has stuck. Socialism, as Herbert Morrison said, is still ‘what Labour governments do’ – from the top down and the centre out. The whole promise of the offer was and is that you elect a Labour government, it does things to you, you are grateful and therefore you vote for them again. The party is simply a vote-harvesting machine in a politics of delivery. It is a party that cannot share or even tolerate other progressive creeds because they stand in the way of control of the state. Everyone not in it is, by definition, against it. If you are in any doubt, just reflect on the EdStone, the chiselled tablet of vague pledges delivered like Moses to a thankful people. It is the perfect metaphor for the politics of Labour – the politics of the 20th century – an era of command and control – an era that has gone. New Labour was a partial reaction to these shifting cultural patterns. I was an early and fulsome convert because I could see that Labour had to change, but New Labour became a vehicle to secure office and not to transform the country. It was never new enough nor Labour enough and imploded as soon as its imperial adventures in Iraq unravelled and the benign economy it was reliant on crashed. By then the party was hollowed out. It no longer had traditions to rely on or roots from which to draw fresh strength and new ideas. The weaker it became in the real world, the more it tried to control those within its orbit. Just when it needed to open out, it closed in. Today it is so disconnected from the communities it claims to represent it couldn’t see its crushing defeat coming. A party that is fully and properly alive is open and connected, as it was in 1945 and as it was, to some extent, in 1997. A party that is alive trusts its members and the wider public. It doesn’t hide from people as its leaders did in the recent election campaign. It can’t be terrified of an unscripted moment. Instead, it offers hope and credible answers and it has a sense of agency – a theory of change. Without those assets, as we can see today, the party turns in on itself. One faction blames another. While both the arguments of the 45ers and 97ers contain partial-truths, neither offers a way out of the party’s dire predicament. At the moment it can barely talk to itself let alone talk to anyone outside. Within, it is too shrunken and too stale. The politics of class or of marketing, of Waitrose or the workers – is all it can offer. It is only from the outside that it will find vitality. There is no simple way out of this. As I type, a little more than a week since the defeat, Labour feels further from the answers it needs, because with every breath it demonstrates just how far behind the curve of modern life it is. The solution it seems is to get up earlier and knock on more doors, as if Labour has anything of relevance to say to any one who answers. It’s the politics of doing the wrong things righter, as the Americans say. The leap the party has to make is simply enormous. Antonio Gramsci the Italian socialist theorist told us that political struggle was essentially cultural and took place in all sorts of sites in civil society – it was not a narrow parliamentary battle but was about movements that contested terrain in a battle for hegemony or common sense. The party had a crucial role to play but not as the only actor on the political battlefield. Philip Gould was the electoral brain behind New Labour and is much missed. His crucial insight was that Labour doesn’t win unless it addresses the concerns of middle class, largely southern voters, and must start where people are, not where we might want them to be. The application of Gouldism without reference to other voters, nor without challenging the nature of key assumptions such as aspiration, is misguided but Philip was surely right that speaking only to the working class was a recipe for electoral failure. Maurice Glasman is the driving force behind Blue Labour, the only new current to enter Labour’s thinking in recent years. This influential set of thinkers are primarily interested in a conservative politics rooted in the everyday experience of working people. I buy much of Blue Labour and reject much. But their crucial insight is that Labour has to connect to the important energies of existing collective and democratic spaces such as working class communities, trade unions and faith groups if it is to meet with political success. The example of Citizens UK isn’t wholly transferable to Labour – but Blue Labour and Glasmanism show an important facet of what is needed. but brilliant book called The Open Tribe in which she explored the culture of politics in the 21st century.6 The title says it all, because it recognises that we assemble with others – a tribe – but tribes that are closed ossify and die. If this feels familiar, it’s because it is. It takes Labour back to its pre-1945 past when it was alive and open to different currents and thoughts and was therefore strong. The litmus test of Gossism for Labour is proportional representation. The idea that political power should reflect the diversity of power in society is now obvious. The days of two classes and two parties have gone. We need a proportional voting system to match our multi-party world. Labour has to face up to the fact that it is unlikely to govern alone again, and undemocratic means cannot be used to justified progressive ends. PR suggests a future that is negotiated rather than imposed and reflects the complexity of the world we are now in. It forces the party to be open and to engage and reconnect to the world again. There are no short cuts to a good society. Finally, a party needs a vision, a vision that both inspires and directs. Not a blue print but a lodestar. That vision must centrally be about the democratic potential of free citizens, not resentful subjects. It must encapsulate the moral ideal of the equal worth and equal rights of every human being. And it must take as sacred our reliance on the earth and our duty to preserve it and not destroy it. Taken on their own, none of these currents or ideas are capable of reviving Labour, but together they might just stand a chance. A politics of movements and hegemonic force, of the political reality of middle class and working class lives, of conservation and modernity and of openness. And more than anything a politics of democratic principle. Of course some of this is contradictory – but all political projects exhibit paradoxical thinking. It is the art of political leadership to manage these tensions and find unifying themes. The important question facing Labour as it starts its long leadership contest is not whether it can get back into office, it might if the Tories are bad enough and luck is on its side, although it probably won’t if we extrapolate its behaviour since the defeat. The question is whether it will ever be in power again. Remember, being ‘in power’ is having the means to change and transform the world for the better, it’s not just winning elections. Labour is now so far from this place. It’s not that it can’t work out what to do, its problem is that it doesn’t understand the sheer scale of its loss and has little, if any, ability to self-reflect. Its reaction to having lost everything that once made it strong has been to close in and control more, precisely when it should be opening out. Power today is not hard but soft, it is not centralised but dispersed, the abiding form of organisation is not vertical but horizontal and the goal of political leadership is not to do things to people but enable them to do things together. It’s not Labour that must help the people, but people that must help the people. The job of Labour is to create the spaces and resources for this to happen. Just like 1945, it is a project that is much bigger than the party. This is this cultural leap Labour needs to make from the 20th century to the 21st century, from near death to life. Despite austerity and out of touch Tories, despite the incredible decline of the Liberal Democrats, despite the crash of 2008 and flat living standards, Labour could do no better than gain 30% of a vote in a system which already exaggerates its support. Next come boundary changes and a nation breaking up and diversifying before or very eyes. Labour must run fast just to stand still. But it seems intent on going backwards – to 1945 or 1997. The crushing defeat in Scotland and the fate of its sister party PASOK in Greece are just outliers of what is to come if Labour decides to go on doing the same thing while expecting a different outcome. 2015 was not like any other defeat. There are no safe places to go to, no easy answers and no comforting new leaders. There is only hard thinking in a process that must confront the party’s economic, political and cultural demons. Hope can only come from knowing how bad it is – otherwise it is simply false hope. Outside of Labour, progressive and radical politics is flourishing; from campaigns around housing, precarious workers, living standards, anti-austerity, environmentalism, localism, feminism, anti- racism, peace and wellbeing. Islands of hope keep springing up to create a better world. A networked society is emerging that sees and feels everything and can mobilise at the touch of a button. 38 Degrees, Hope Not Hate, Greenpeace, E15 Mums, Citizens UK, Transitions Towns, myriad organisations flourish because they can and because they have to. The task of Labour is to ensure that these initiatives become a sum greater than their parts. If the Labour Party is to connect with these social and cultural forces then it can help deliver a good society; but everything about the party is going to have to change. Can it? ‘The wrong people were voting Labour’: an exchange with Neal Lawson - Comment - Voices - The Independent . 2015. ‘The wrong people were voting Labour’: an exchange with Neal Lawson - Comment - Voices - The Independent . [ONLINE] Available at: http://www.independent.co.uk/voices/comment/the-wrong-people-were-voting-labour-an-exchange-with-neal- lawson-9984569.html. [Accessed 22 May 2015]. Pollster John Curtice warns Labour a majority in 2020 is ‘improbable’ | Politics | The Guardian. [ONLINE] Available at: http://www.theguardian.com/politics/2015/may/21/pollster-john-curtice-warns-labour-majority-2020-election-improbable- politics?CMP=share_btn_link. [Accessed 22 May 2015]. It was the working class, not the middle class that sunk Labour. [ONLINE] Available at: http://www.newstatesman.com/poli tics/2015/05/it-was-working-class-not-middle-class-sunk-labour. [Accessed 22 May 2015]. BBC Radio 4 - Analysis, Roberto Unger. 2015. BBC Radio 4 - Analysis, Roberto Unger. [ONLINE] Available at: http://www. bbc.co.uk/programmes/b03hvn6n [Accessed 20 May 2015]. J Gilbert & M Fisher, 2014, Reclaim Modernity: Beyond Markets Beyond Machines | Compass. [ONLINE] Available at: http:// www.compassonline.org.uk/publications/reclaiming-modernity-beyond-markets-beyond-machines/.